This week Music Liberation is being taken over exclusively by its' fine collection of Writers, as I, Mr 'Editor', hang up my boots and have a week off before we get back into the usual new music loving swing of things next week. First up, our newest writer, Tom Nash, kicks things off by choosing his favourite review of 2011. 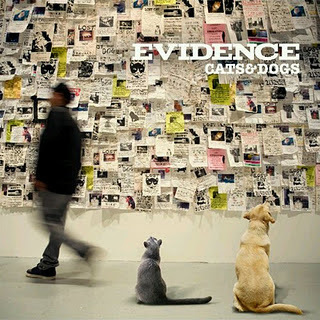 "Coming to the ML team late in the year, I only covered two releases; Dilated Peoples emcee Evidence’s second solo album Cats & Dogs and Hectic Zeniths’ self-titled debut. With just two albums to choose from, you’d think it would be simple picking a favourite. It wasn’t. 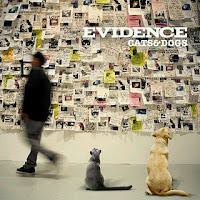 The thumping boom-bap and laidback West Coast vibes of Cats & Dogs was refreshing in a year when mainstream Hip Hop was dominated by heavy synths and House-inspired floor fillers, whereas Hectic Zeniths provided an LP packed full of dramatic keys and strings that was perfect for shoe-gazing on a cold morning or as the soundtrack to a chill evening. While Evidence has turned out a strong album in a year of great releases, my vote goes to the newcomer: Hectic Zeniths. Each track is a beautifully crafted, multi-layered soundscape, which makes the album a wonderfully evocative experience that is just crying out for repeat listens. 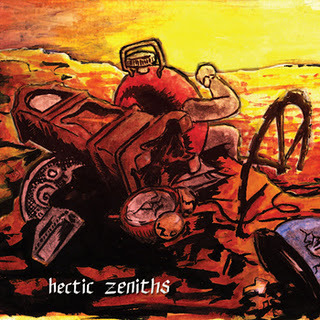 With such a strong debut, Hectic Zeniths has set the bar high for future releases, but I for one, will be eagerly anticipating any new music from this exciting new artist.